This Tony’s Town Square lunch review is based on my experience when visiting the restaurant in November 2017 with my family. Tony’s Town Square Restaurant in located in the Main Street, U.S.A. area of Disney World’s Magic Kingdom Park. 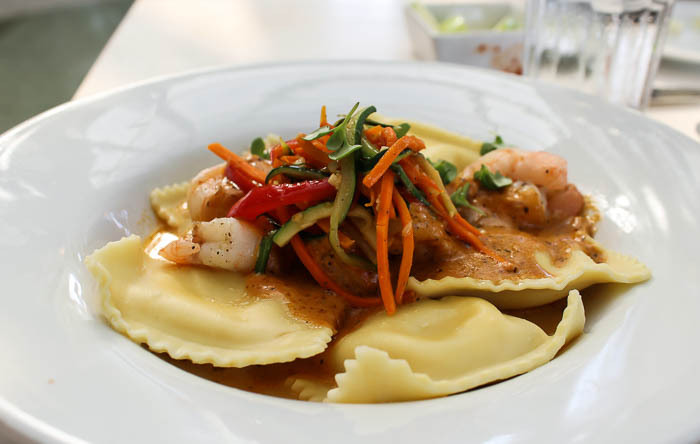 They serve Italian and American cuisines in a casual atmosphere and are open for lunch and dinner. During our day at Magic Kingdom, it was more crowded than I have ever seen the park! The restaurants were no exception. While most were running behind getting people seated at the time of the reservation, Tony’s was very close. We had a minimal wait, our food came out quickly, and the service was great! This soup was amazing! 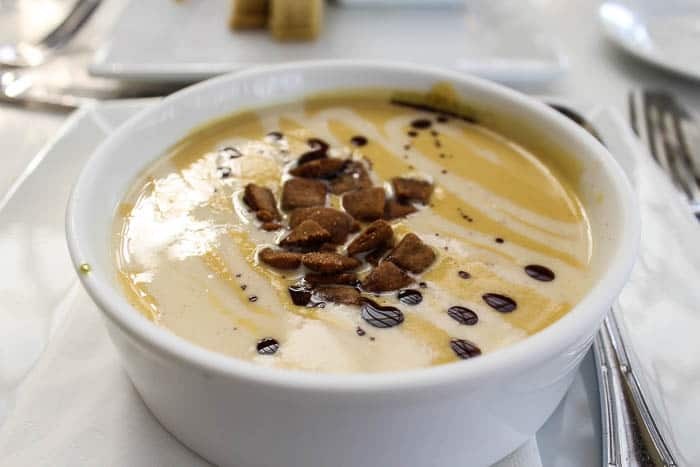 I pretty much love any and all butternut squash soups, but the Gingerbread Croutons were a unique touch. Choosing an appetizer was hard. There are so many delicious choices. Thankfully, my 10-year-old son, Jaxon, loves cheese as much as I do. This is a warm ricotta cheese and roasted garlic dip topped with a tomato jam. It comes served with crostini for dipping. I had a piece for myself and it was amazing! 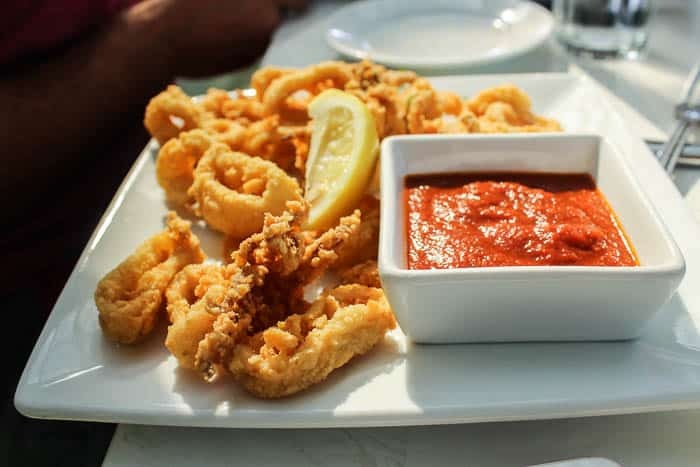 My fiance opted for the fried calamari for his appetizer. I can’t remember him ever eating calamari before, but he enjoyed it! He couldn’t bring himself to eat the pieces with the tentacles though. We had so many good meals during our time at Disney World, but this was definitely one of the best! 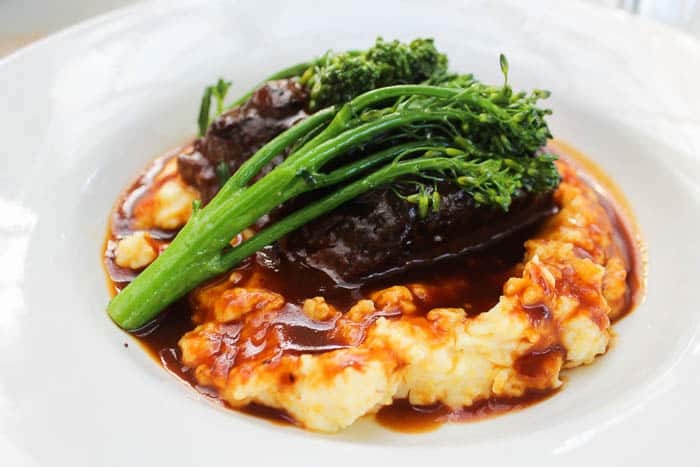 The short ribs were incredibly tender and flavorful and the Mascarpone Polenta was amazing. This meal was so filling, and sadly I couldn’t finish it all. Jaxon loves ravioli so it was no surprise that he quickly decided that is what he wanted to order. 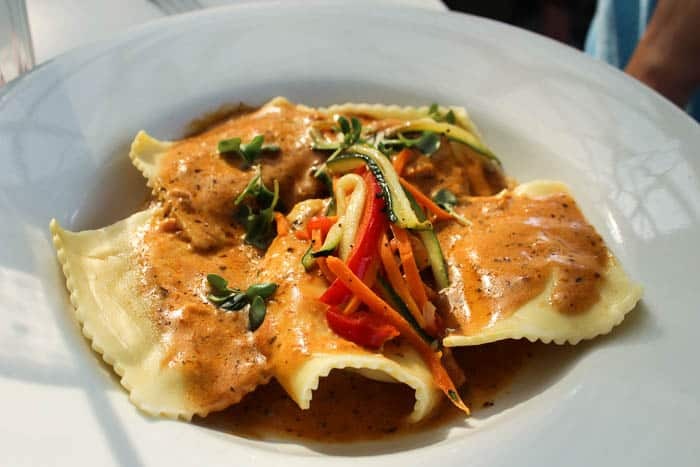 These cheese-filled ravioli came topped with seasonal vegetables and a Sun-dried Tomato-Pesto Cream Sauce. Daryl ordered the Ravioli with Shrimp. This is the same dish as Jaxon’s but served with shrimp. We didn’t get too adventurous with dessert, probably because we were all so full from our entrees! Daryl and Jaxon both ordered the gelato, while I ordered the seasonal cheesecake. 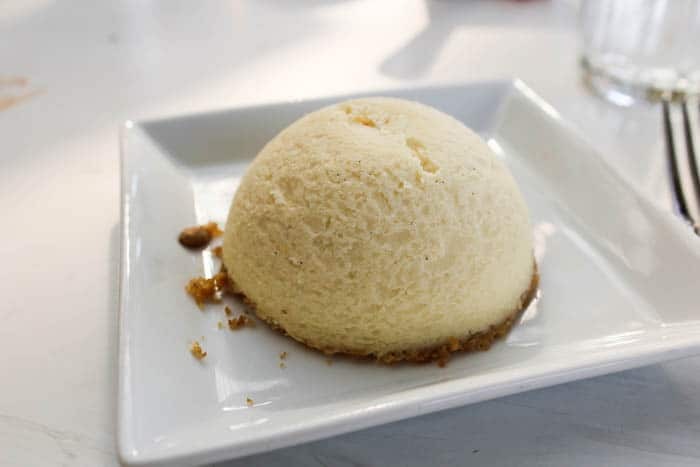 It was a small Honey Vanilla Cheesecake that could have come with an additional pumpkin topping, but I opted for the plain version. I ate at Tony’s Town Square Restaurant a few years ago, but didn’t think it was anything special. However, after this recent visit there, I’ve definitely changed my mind! The food was amazing, as was the service, and I would definitely recommend it! Because the menus are always changing, I can’t guarantee the same selections will all be available as in this Tony’s Town Square Lunch Review. 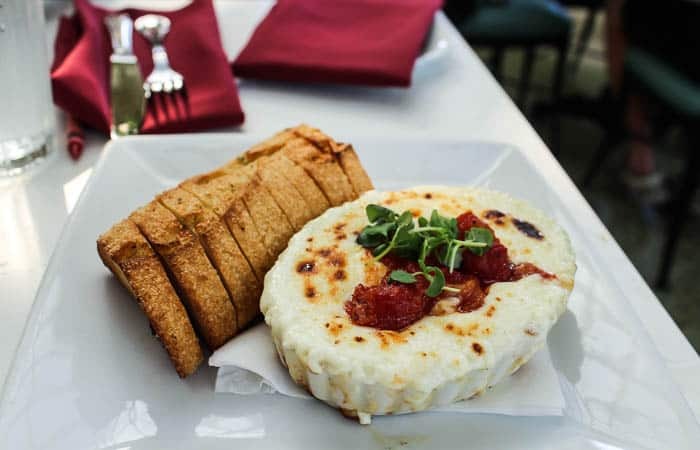 To see the current Tony’s Town Square Restaurant menu and prices, click here!